To promote long-term engagement with nature of children/youth in an urban and a rural location. The forests of Madagascar are the only home to the most threatened mammal group in the world -- lemurs -- and support many other plants and animals found no where else. The primary threats to Madagascar's biodiversity come from the clearance of forsts from slash and burn agriculture and illegal logging. 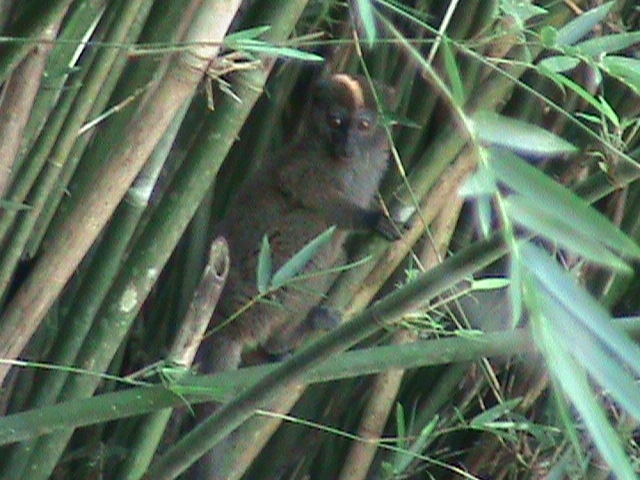 Lemurs are also increasingly hunted for food. 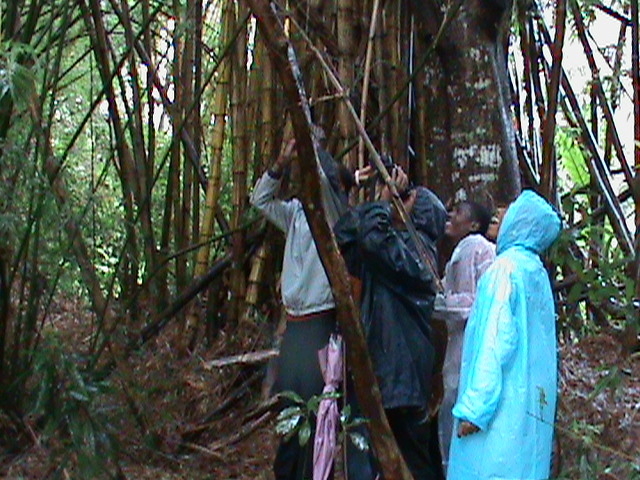 Helping local people understand the importance of lemurs and their forest habitats is part of the solution. working with reserve owners and forest guardians to evaluate and try to solve the problem of trees being removed from the reserve. (Project #1) With a youth conservation club in the city of Fort Dauphin, an essay-writing contest was held and field trips organized for the top 13 participants to visit an ecotourism reserve to see—for the first time—lemurs, and to walk in the forest and learn from a professional guide. PProject #2) Conservation lessons were given to 89 students in a public school and a private school in the village of Berenty, and students produced hand-written/drawn "red books" and postcards on nature and conservation that were collected for sale to tourists. Our project leader is Amber Walker-Bolton, a Canadian primate researcher doing her PhD in Biological Anthropology at the University of Toronto. Amber undertook this project on a volunteer basis. She was assisted by Nirina Columbe Sehenomalala, a graduate student (also in primate studies) at University of Antananarivo. This small project provided a rare opportunity for a field trip for young participants in a conservation club in the city of Fort Dauphin. 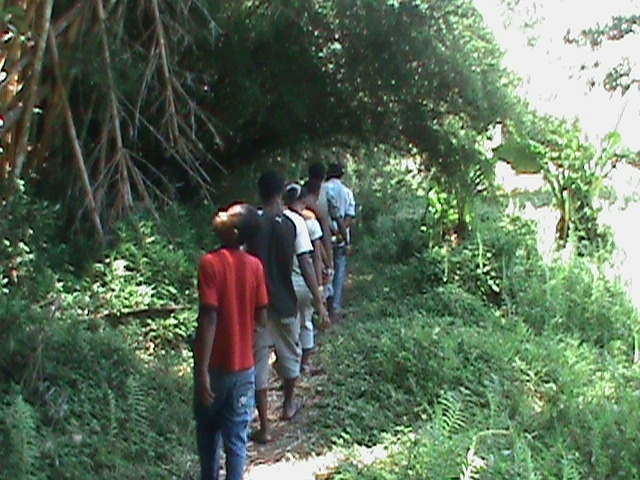 Although the ecotourism reserve visited is only 7 km outside the city, none of the youths had been there. The trip gave them the opportunity to see lemurs for the first time. Lemurs are iconic to Madagascar (and are found nowhere else), yet many locals never have the chance to see them in the wild. Field trip participants were selected based on an essay-writing contest on a conservation related topic. Two field trips in Fall 2012 allowed the top 13 essay writers to spend a day at the Nahapoana reserve, where they explored the forest habitat on foot with a professional Malagasy ecotourism guide, and observed three species of lemur up close. Field trip expenses included the cost of guides, transportation, and food; footwear for the children to hike in was donated. Feedback was overwhelmingly positive, and participants came away with a new enthusiasm for conservation and appreciation of Madagascar's natural heritage. The conservation club continues to attract new members, and hopes to expand educational activities and offer additional field trips in 2013. ICFC's perspective is that such field trips can motivate young people to pursue a career in ecotourism, field ecology or conservation. Spurring a strong connection to nature can also influence conservation long-term with individuals who end up in positions of responsibility in the public or private sector. This small project represents a continuation and expansion of the Red Book Challenge, a small-scale conservation initiative started in June 2012 by Amber and Nirina. The Challenge brings conservation lessons and collaborative fund-raising projects to young people in Berenty and Fort Dauphin. Using the lessons of the Conservation International film Fanamby—The Bet the Berenty students were asked: "How will you embrace the Green Challenge?". 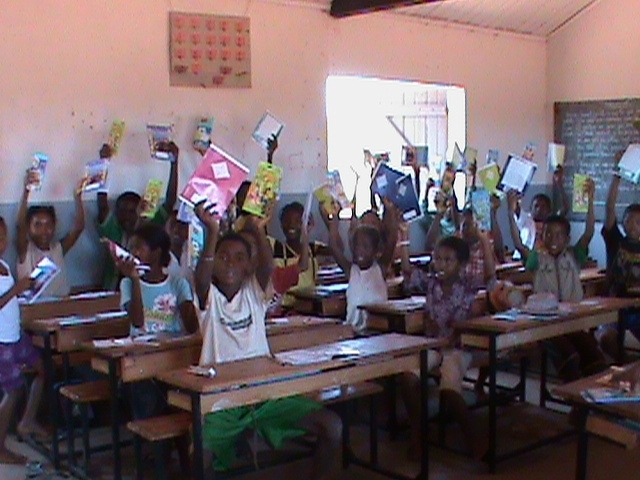 Students received a postcard or a small red book with nine blank pages with which to create an original story or poem about Malagasy wildlife and conservation, or to draw pictures of local plants and animals. They also received school supplies of notebooks and colour pencils (a scarce and valued resource). The completed red books and postcards were passed on to a youth conservation club in Fort Dauphin for sale to tourists. Proceeds from the sales are used toward a small conservation/environmental project selected and carrried out by the students. This project elicited an enthusiastic response among students, sparking an interest in nature and conservation, and showing them they can make a positive difference in their community.